The safest approach to the use of herbs during pregnancy is to avoid herbs during the first trimester unless medically indicated when there is not a more effective or safer medical option (i.e., nausea and vomiting of pregnancy-NVP, threatened miscarriage) and after this to use herbs that are known either scientifically or historically to be safe during pregnancy. Beverage and nutritive teas that are known to be safe in moderate amounts (i.e., red raspberry, spearmint, chamomile, lemon balm, nettles, rose hips) can be considered reasonable for regular use in pregnancy. Using normal amounts of cooking spices is considered safe as well. There are a number of herbs whose constituents (chemical composition) are mostly gentle, nutritious substances such as carbohydrates vitamins, and minerals and which can be used safely in pregnancy as basic daily tonics, for example, nettles (Urtica dioica), milky oats (Avena sativa), and red raspberry leaf (Rubus idaeus). 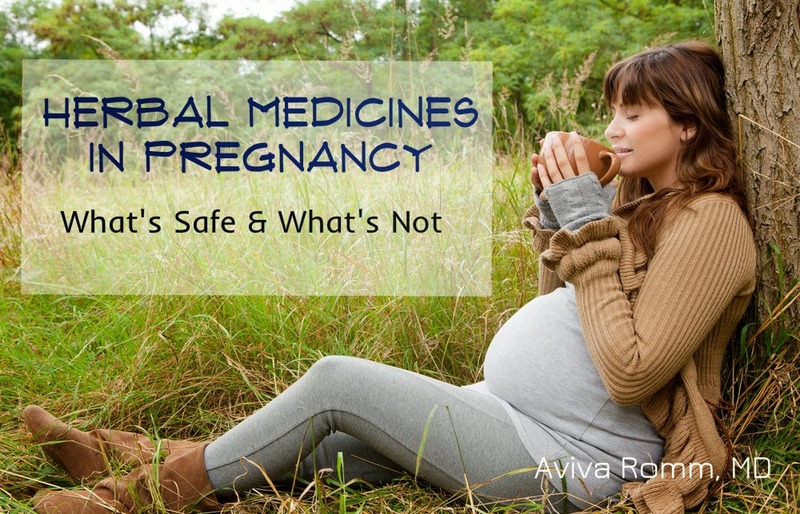 Several herbs have also been scientifically proven to be safe during pregnancy. These are presented in the first chart, below. An herbalist, midwife, or naturopathic or integrative physician trained in the use of botanicals during pregnancy should be consulted when using herbs medically—that is to treat a specific symptom or medical condition beyond those described in this article. In addition to common pregnancy symptoms, when we’re pregnant and nursing we also get the same run of the mill mild illnesses everyone else gets —colds, indigestion, headache, etc., for which herbs can be helpful and even safer than OTC meds. Many of these problems can be addressed safely and gently with mild herbs such as echinacea, ginger, or chamomile respectively. The following chart provides an overview of a number of herbs that have been demonstrated to be safe for use during pregnancy through clinical trials or scientific evaluation of safety.